Either ingenious or just gross, Clearasil has placed a sticker that looks like a zit on German teen magazine stadtlichter. 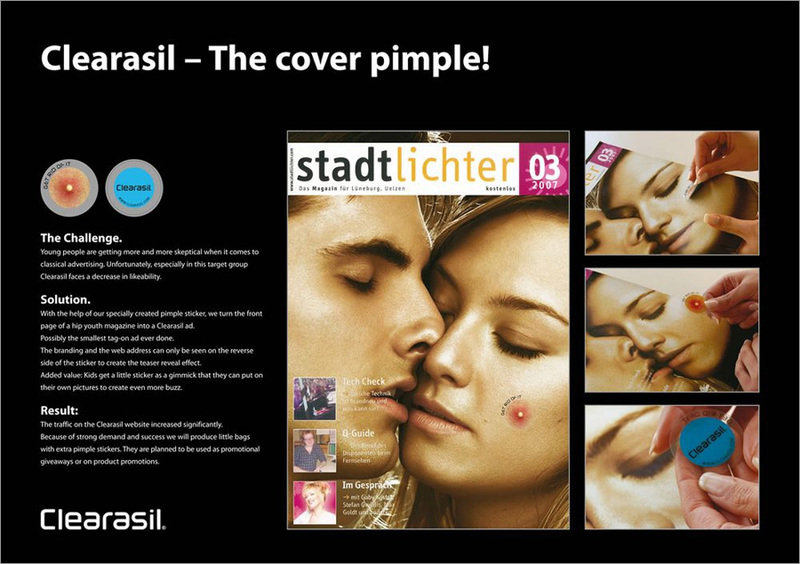 Created by Euro RSCG Duesseldorf, the sticker says "Get rid of it" and when removed from the magazine cover, the Clearasil brand is revealed along with the brand's website address. Assuming teenagers still pick zits off their face, it's likely they'd be predisposed to pick one off a magazine cover as well. It seems they did according to Clearasil which reported a spike in website traffic during the run of the campaign.